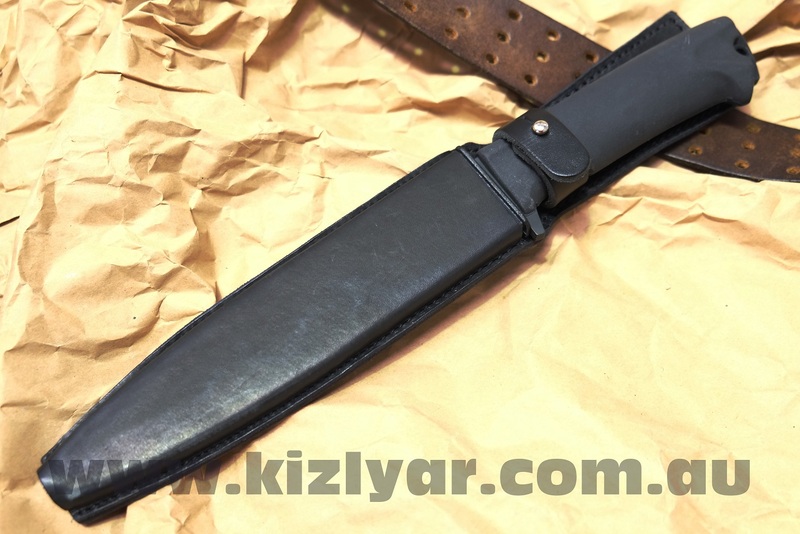 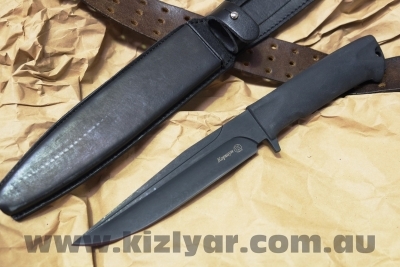 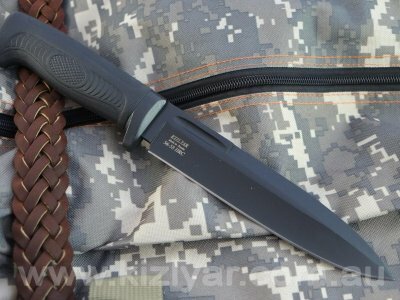 The Kizlyar Korshun tactical knife is one of the most popular of our "duo-form milled series" military knives. 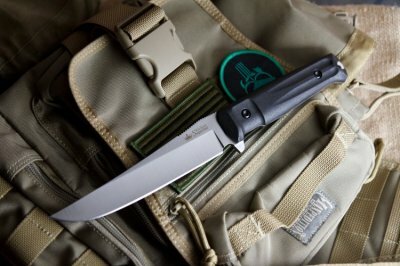 The Korshun features the same milled blade form as our other famous military series knives but has a more functional clip point blade style, presenting a truly multi-purpose design. 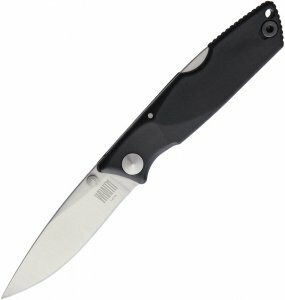 The Korshun features a one-piece, molded Elastron handle and an ABS polymer sheath. This model has proven to be a most popular knife amongst the Russian militia and FSB due to its high strength, multi-purpose blade geometry and good cutting / slicing ability.